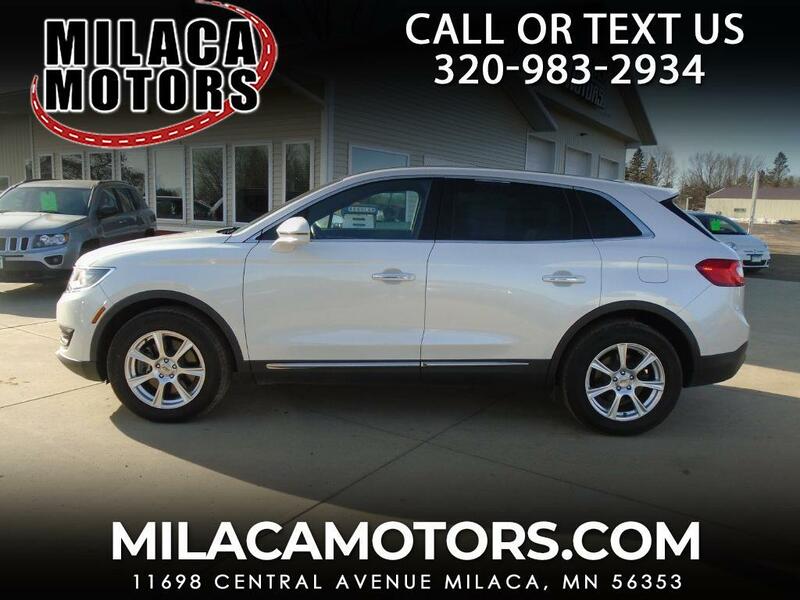 Whether moving or standing still, our 2017 Lincoln MKX Reserve AWD is stunning in White Platinum! Powered by a 3.7 Liter V6 that delivers 303hp while connected to a 6 Speed Automatic transmission for luxurious driving. You'll be happy behind the wheel of our All Wheel Drive with its brisk acceleration, precise steering, and near 23mpg on the highway. Radiating premium good looks inside and out, our fresh-faced Lincoln MKX Reserve is complemented by HID headlamps, chrome accents, a hands-free power lift-gate, and beautiful wheels. Thoughtfully crafted to help you conquer each day, the Reserve boasts upscale amenities including remote start, a panoramic sunroof, Bridge of Weir Deepsoft leather-trimmed seats, heated/cooled 10-way power front seats, ambient lighting, rich wood trim, and a driver-configurable LCD screen. Your safety is paramount, so our Lincoln MKX Reserve comes well equipped with AdvanceTrac with Roll Stability Control, a blind-spot monitor, MyKey, the Safety Canopy system, and other safety features. Comfortable, refined and full of amenities, this is an intelligent choice. Print this page and call us Now... We Know You Will Enjoy Your Test Drive Towards Ownership!